Deceit, disappointment, and greed in unlikely places is something Jennifer, has unfortunately experienced. Jennifer’s grandfather was a hard working farmer that spent his life building a legacy on over 1,000 acres of land. He had cash he‘d been saving his entire lifetime and he wanted to ensure it was protected. He established financial instruments and bonds to be inherited by his two daughters while leaving the land and farm equipment to his son. When her grandfather passed, the unthinkable was revealed. Jennifer’s uncle, with his power of attorney, had changed all of the beneficiaries on the financial instruments to his three children, unbeknownst to anyone else. Everything her grandfather had saved and built for decades; was gone. Jennifer personally felt the hurt and disappointment that results from a lack of planning and lack of communication within a family. It was then, her passion to educate and protect others, became her life objective, and she started her own independent paralegal firm. The probate and trust process can be a very unpleasant and painful time. The goal is to minimize the hurt and get our clients through it as quickly as possible so they can focus on what’s most important; the healing. With more than two decades of business and legal experience, Jennifer has developed her skills in managing cases involving probate and trust administration, real estate, family law and business law. 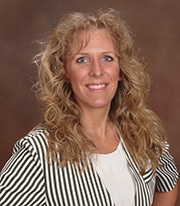 Jennifer holds a Masters of Business Administration degree from Keller Graduate School of Management and a Bachelor of Science Business degree from Ferris State University. She is an active member of the paralegal division of the Maricopa County Bar Association and a licensed Real Estate Agent.